A view of a green at Moss Creek Golf Club. 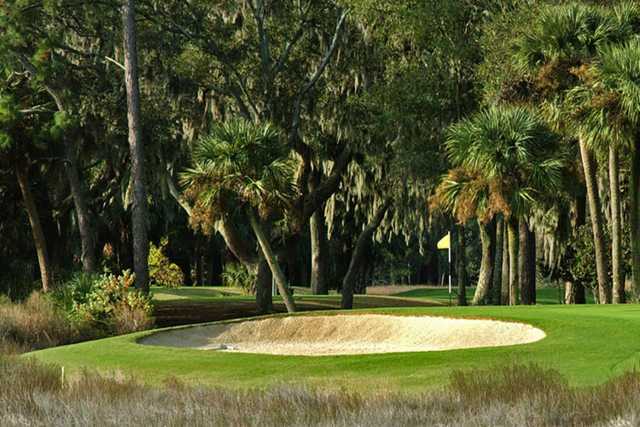 Moss Creek Golf Club - South has been referred to by Golf Digest as "a beauty with a bite." 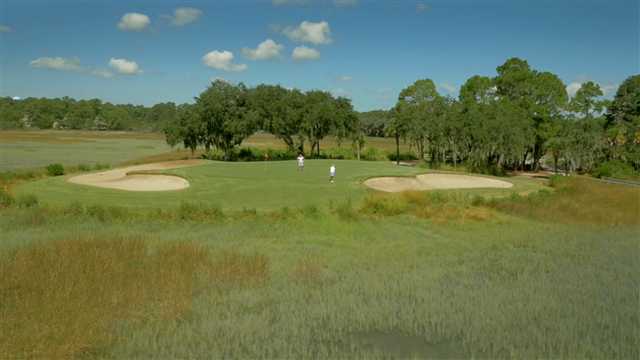 Much of the nationally famous Devil's Elbow South Course stretches along the lovely salt marshes along the Intracoastal Waterway and Mackay Creek, which brushes along the northern reaches of the property. Considered one of George and Tom Fazio's best efforts, the par-72 golf course measures approximately 6,878 yards from the back tees, with a rating of 73.9 and a slope of 136. While not long, it is an exacting golf course with tight greens almost throughout. 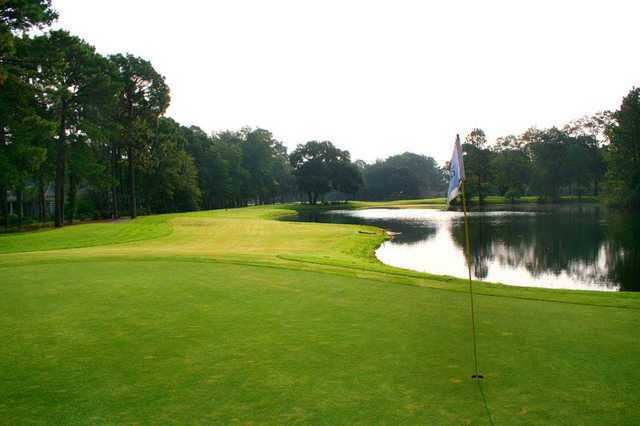 The golf course, built in 1975, plays longer and is considered more difficult than the Moss Creek North Course.